Rebel boots are also in for this season and what better way to flaunt your rebellious spirit with this Versus safety-pin embellished leather ankle boots. 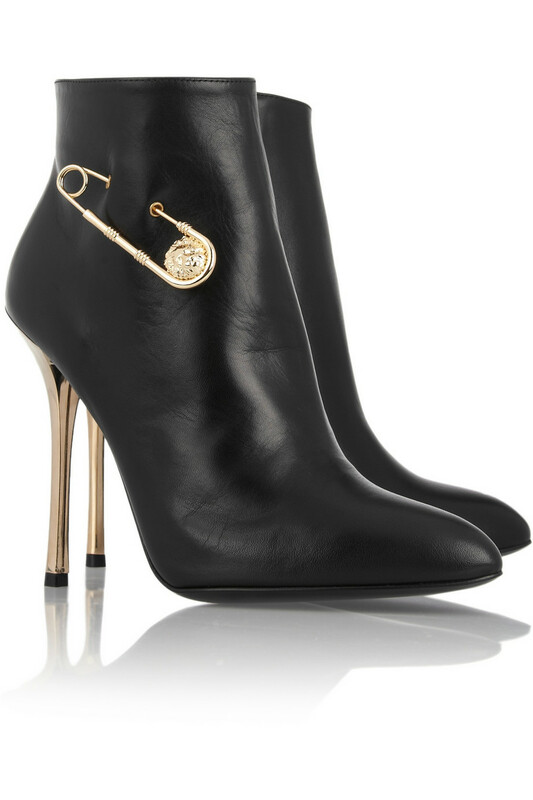 Apparently a nod to Donatella Versace iconic safety-pin designs of the 90’s, these boots lends a tough edge to any look, with the gold complimenting the sleek black leather beautifully. Wear it with skinny jeans or your favorite little black dress. Available only at net-a-porter.com.